WASHINGTON (CN) – Federal prosecutors joined with lawyers for accused Russian spy Maria Butina on Monday to set a hearing for later this week where Butina can change her plea. The one-page filing with U.S. District Judge Tanya Chutkan this morning came on the heels of a series of delays in recent weeks that suggested plea negotiations were underway. “The parties have resolved this matter and the defendant Maria Butina remains in custody,” the short motion states. Some hours later, Judge Chutkan scheduled that hearing for Wednesday. Prosecutors say Butina, 30, entered the United States under the pretext of attending graduate school in Washington, D.C., but used her connections to political groups like the National Rifle Association to further Russian interests here. 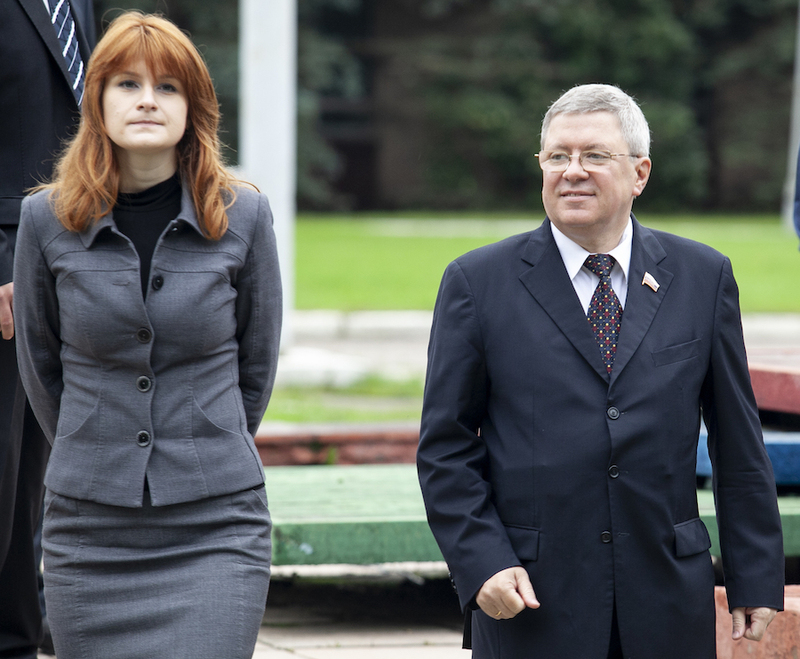 Butina pleaded not guilty in July to counts of conspiracy to act as a foreign agent and acting as a foreign agent. In a separate filing on Monday, Butina’s attorneys also dropped their opposition to making public a portion of a transcript detailing a telephone conference held last week. A.J. Kramer, a federal public defender working on Butina’s case, did not immediately return a request for comment on the filing. Robert Driscoll, an attorney with the Washington firm McGlinchey Stafford who has represented Butina throughout the case, declined to comment. A spokesman for the U.S. Attorney’s Office for the District of Columbia declined to comment on the filing.